Tricky Cider was originally made at Tricky Warren Farm, hence the name. The former home of RAF Culmhead, the farm and surrounding area was an important military base during the Battle of Britain. The Farm lays on high ground at the east end of the Blackdown Hills, in Somerset but close to the Devon border. 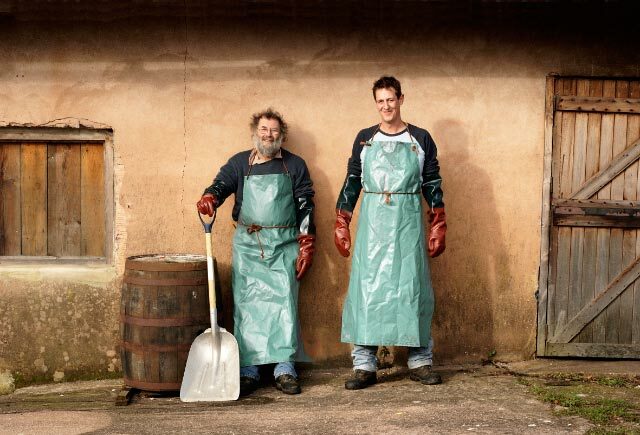 Under the guidance of Steve and Al, Tricky cider was produced five minutes away from its spiritual home in picturesque Churchingford. As they grew the traditional cider press was sidelined for village cider making days in the old bakery yard. Steve still owns this press and intends to continue using it for community pressing events at his pub the Holman Clavel. Now in 2018, Freddie and Matt are proud to take over Tricky cider for its next stage in the long history of the name.